I just wanted to share my hair goals for the year with you all. Tip: Make sure to set clear short-term and long-term goals. I’m of the belief that setting goals is the first step to reaching them! Grow strong healthy hair around edge of hair-line. 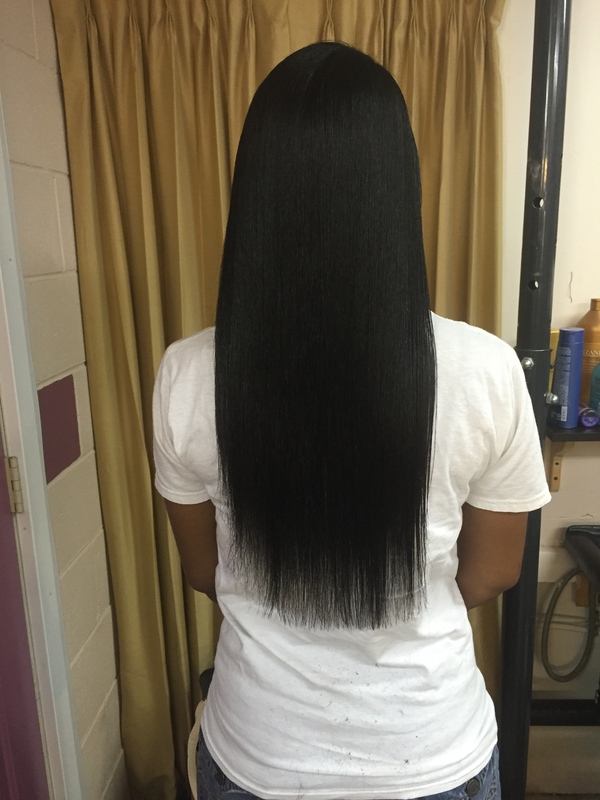 Grown hair to tailbone length. Maintain healthy hair regimen to ensure hair retention. Experiment with more natural styles. These are the five things that I would like to do regarding my hair for the year 2016. To even accomplish of one them would make me happy but I’m going to aim for all five! This picture will serve as my “before” photo! As soon as I have figured out what my hair regimen will be I will share it here on the blog! Happy Hair Journey! P.S. Don’t forget to share your hair goals with me below in the comment section! Next Post Nate's Fav: I Dream of Green Pt2! Hey it’s Tia! Your hair is still long and beautiful as ever!! My hair goals for 2016 is moisture retention. Now that my hair is longer I’m experiencing more dryness, so I’ve made some changes in my regimen to help. I deep condition with my steamer once a week and I just recently started cowashing midway through the week. So far so good. My other hair goal is to reach bra strap length. But as long as I have healthy hair Im happy! Hi Tia!!!! I’ve seen your pictures! Love your hair growth! I need to invest in a steamer myself. Healthy hair = happy hair! Tips for me to achieve this! Where do i start?